You don’t need a time machine to put together these 1980s Halloween costumes! 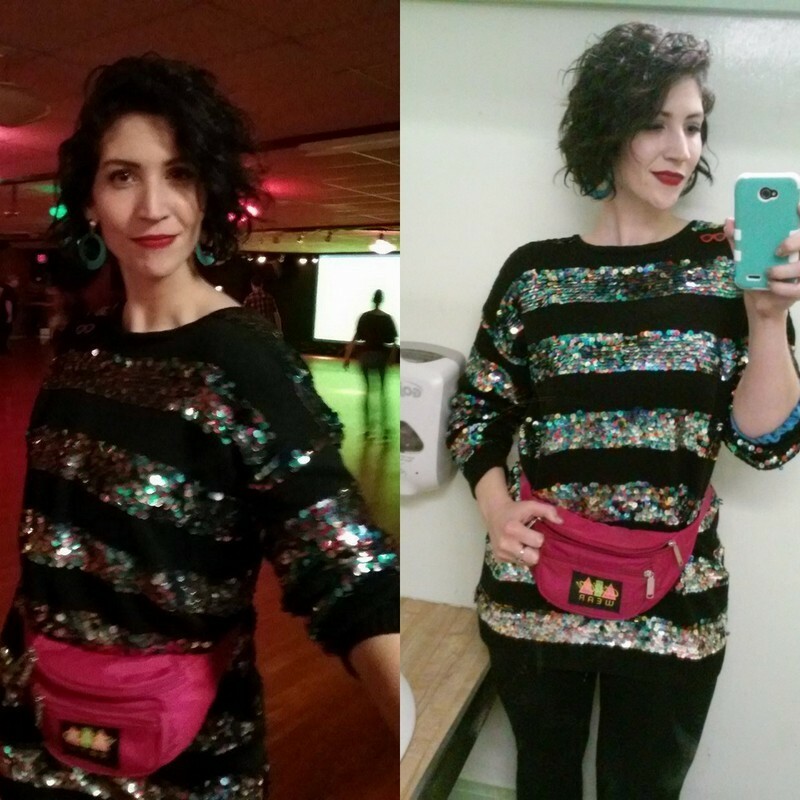 It’s ironic I get to write this post because while you have all gotten to know me as a source of thrifting advice and 1980s inspiration, I actually lost an ’80s costume contest earlier in the year. I didn’t even place! But that was the past and I’m over it. 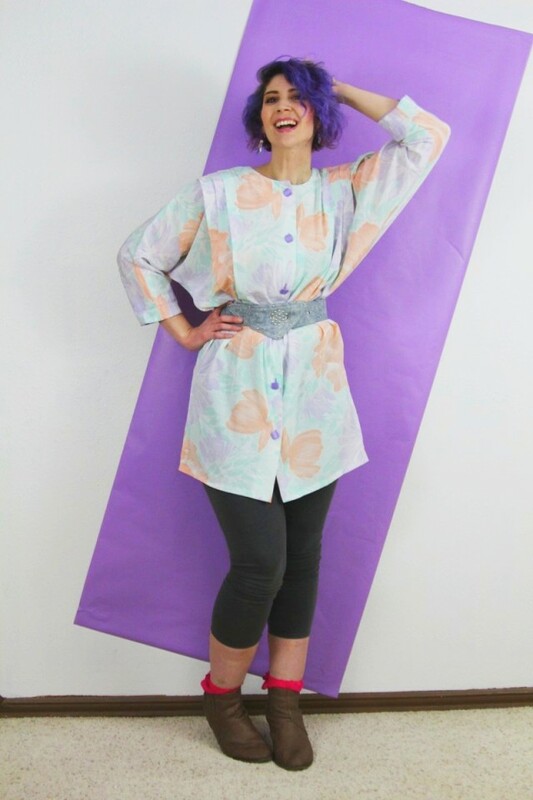 However, I’m NOT over 1980s fashion! 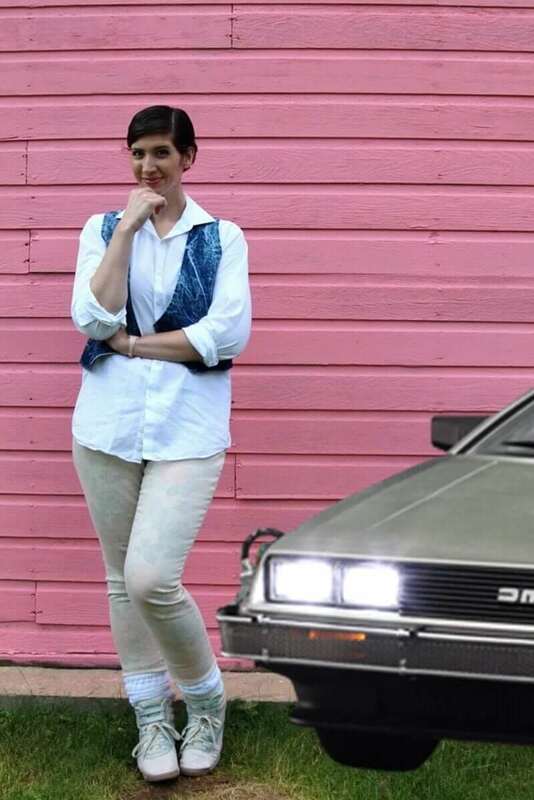 I’ve worn many looks dedicated to the 1980s, most as everyday outfits. 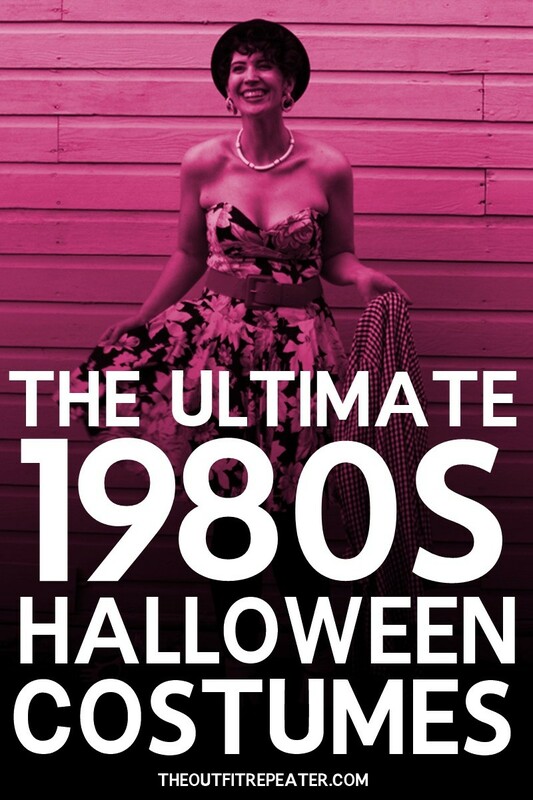 Here’s the best of the best to inspire your next 1980s Halloween costume or any time you have to dress like the decade. Psst.. most are thrifted & DIY! Great Scott! This look was partially put together last minute but with more time I would have added a wig and a better vest. Go back in my archive to look at this costume in full. Arguably the cheesiest costume on this list because it’s really just a store bought onesie that I jazzed up with accessories from home. Master this look by reading my post all about it. Eat your heart out, Madonna! Find out what materials went into making this look by reading the original blog post. This costume was good enough for me! 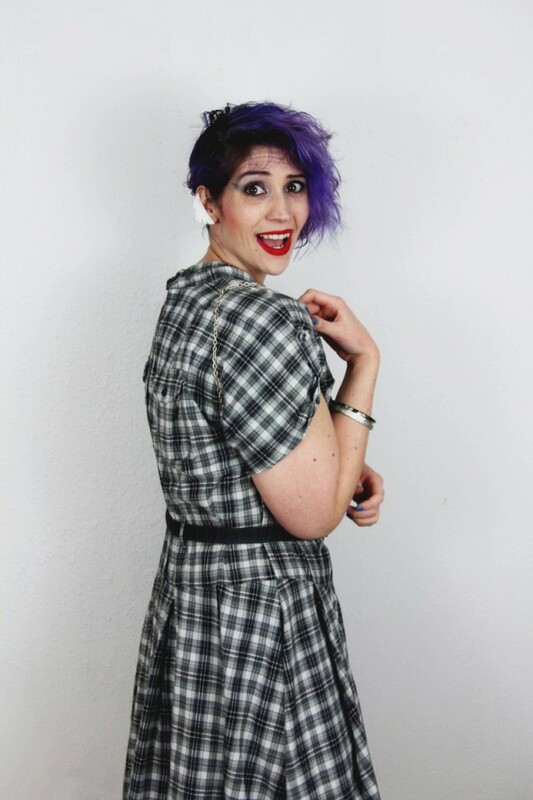 Read about the painful process it took to change into Cyndi Lauper. I think I was an outfit repeater in a past life! 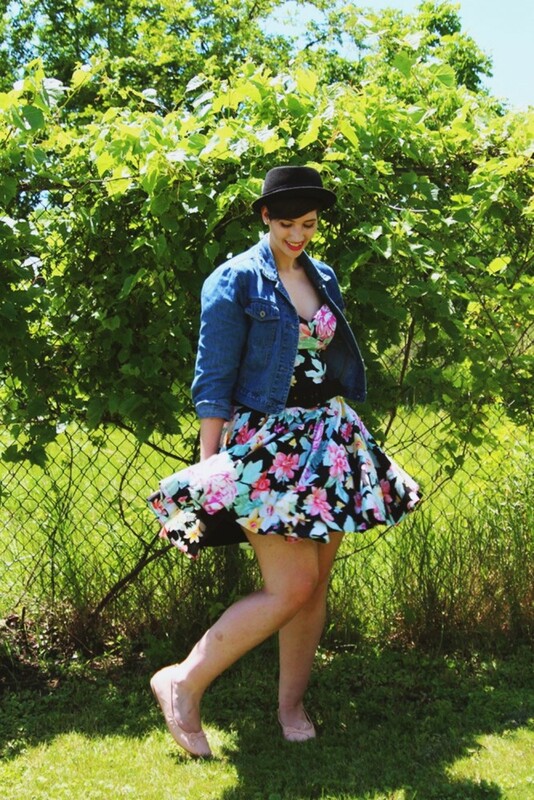 Unfortunately this look isn’t on my blog any more but all you need is a rad denim jacket to make any old prom dress look new again. 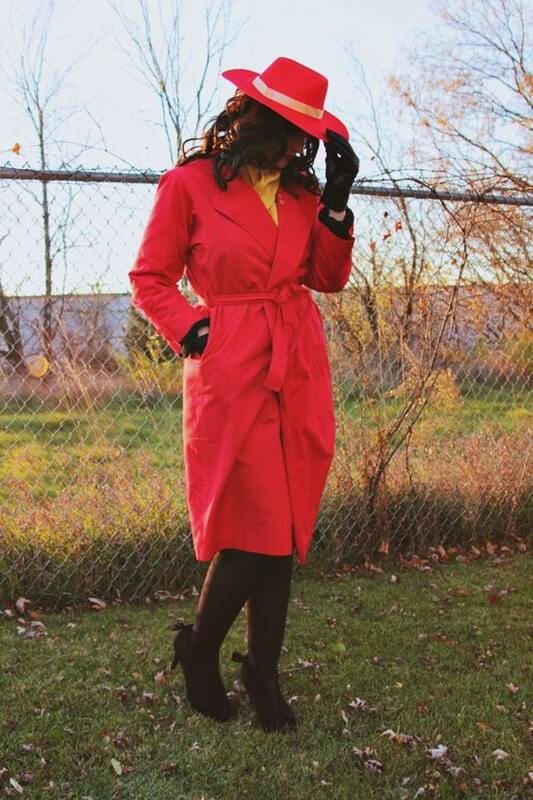 Who in the world wouldn’t want to be Carmen Sandiego? Click here to find out more about this look. It’s no mystery this outfit is awesome. Get the scoop on stealing it for yourself by clicking here for the original post. If you don’t wear drag makeup for Halloween then what is it even the point? Watch this transformation here. Is she a car mechanic? Is it high fashion? 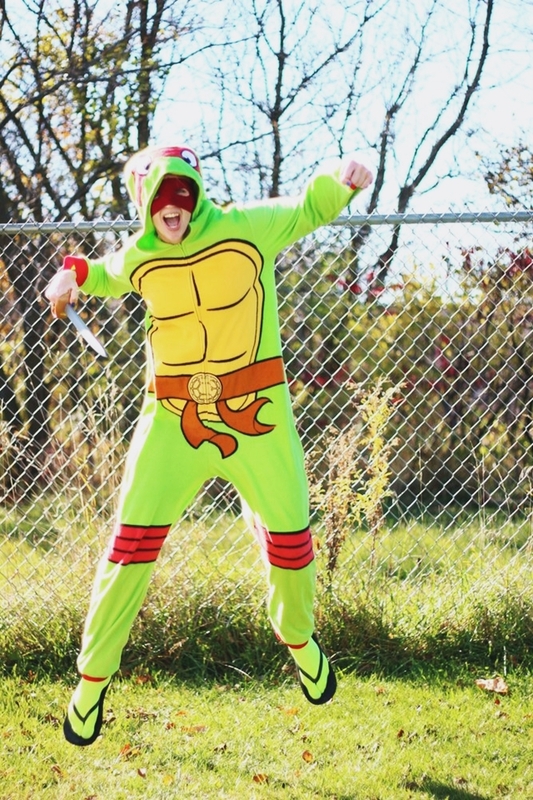 No one will ever know when you’re wearing this stylish jumpsuit. Not every costume has to be historically accurate. This nod to the basket case character from The Breakfast Club is just the right dose of ’80s creativity! You could be the star in a music video or just hanging out with friends. That’s the fun in wearing an outfit like this! Put a playful spin on your costume by dressing as the electric youth from back in the day. 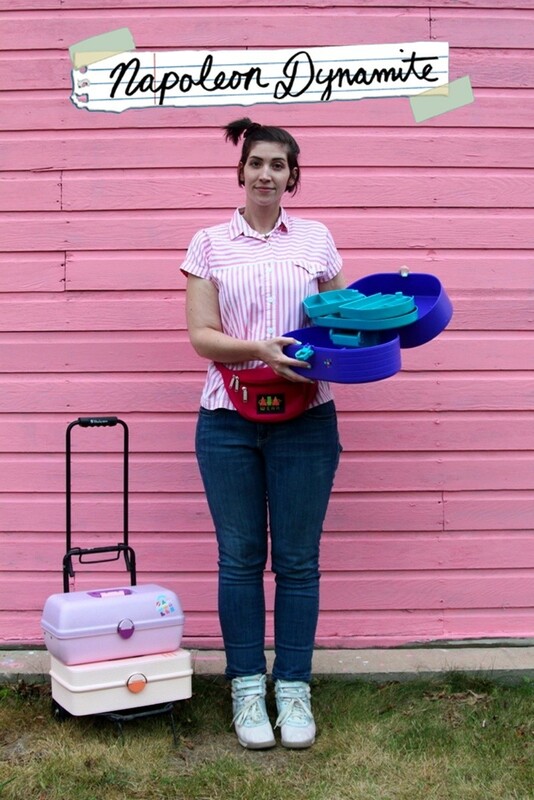 Get schooled in this look here. 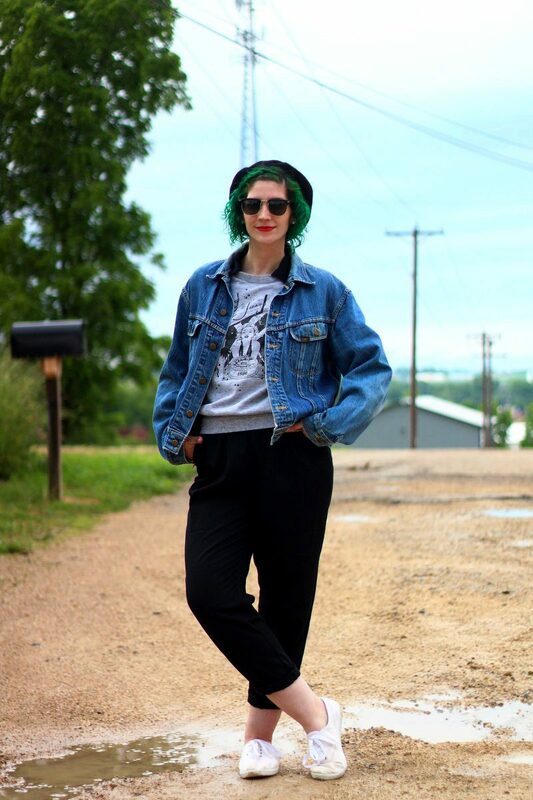 Take the night off from planning a look by throwing together some casual pieces like I did here. Bueller… Bueller… Bueller? 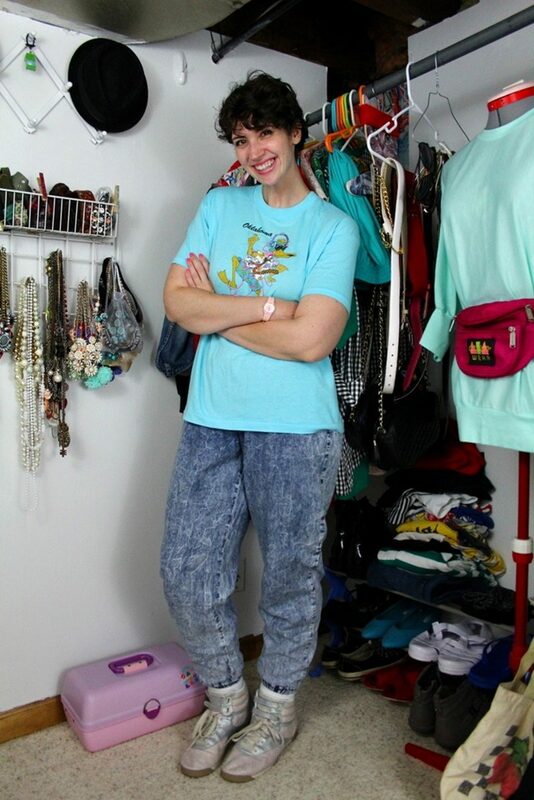 You may look like you belong in a mall but this is actually an awesome outfit to wear to a costume party! Browse this look here. This costume is dynamite! Blow your friends minds by learning how to execute this look here. And if you’re curious about that outfit that caused me lose the costume contest, here it is! Despite being 100% authentic, I still lost out to a guy in a 2000’s Ralph Lauren polo. Oh the horror!